Yes, it was that time of the year again in Germany, from the end of September to mid October people from all over the world travel to Germany, particularly Munich and dress up in Dirndls and Lederhosen so that they can get pissed and look funny while doing it. Not only do tourists love this, but even Germans from other cities who don’t otherwise get a chance to dress up in this way. In actuality, only a small group of people who live in Bavaria wear those clothes and they’re usually very expensive and high quality. However, this time of the year calls for everyone to suddenly adopt this appearance. Braids, Bavarian hats and a tonne of ‘bier’. This year I headed into the Dinkelacker tent where some friends had reserved a table. I was pleasantly surprised to see that our table was upstairs and not in the main area with the rest of the drunken revellers. There was still a great atmosphere upstairs and enough drunken, happy people not causing problems to make it lots of fun. 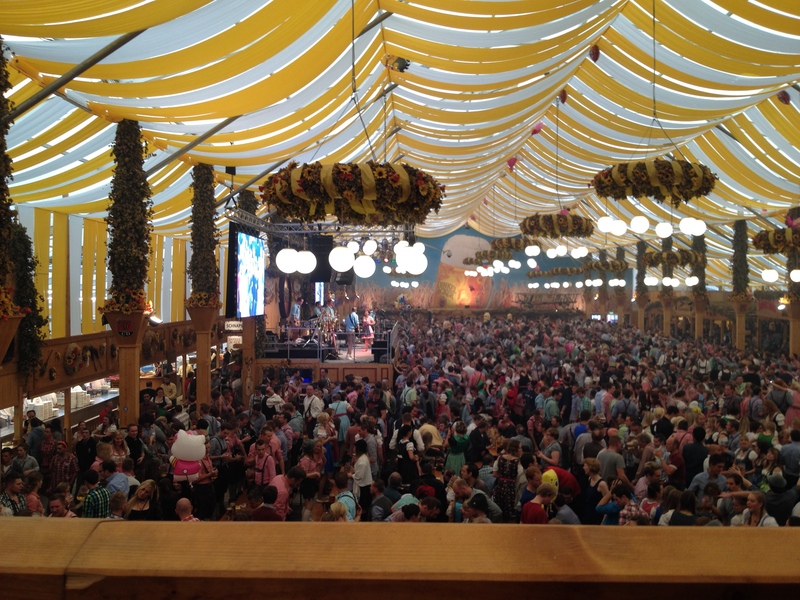 But Oktoberfest is not only for adults over the legal drinking age of 18. Families with children love it because of the rides, candy and games. 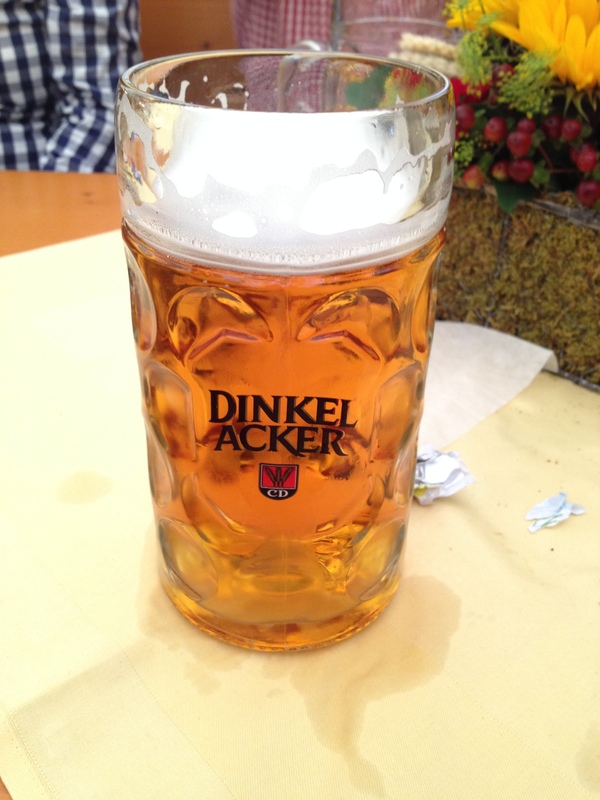 Traditionally, you would go into a beer tent and drink many litres of beer and eat half a chicken. 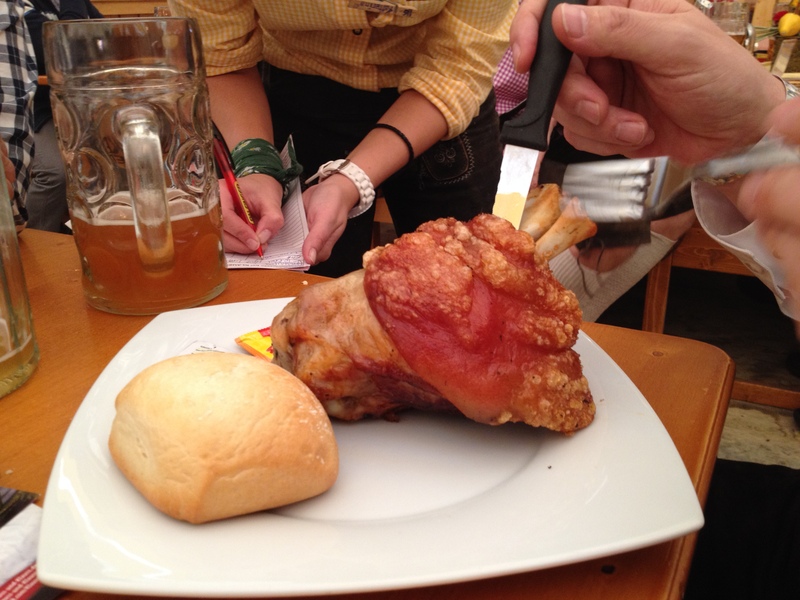 This time, with my one litre, I also had most of a pork knuckle (Schweinshaxe). Those things are amazing when made properly. This one was delicious with a crispy crust and plenty of meat. Oktoberfest is first and foremost a Bavarian thing and the biggest one in Germany takes place in Munich, with the second-largest being in Stuttgart. The fireworks yesterday evening marked the end of Oktoberfest here in Stuttgart, but it happens twice a year (in Spring it’s called the Spring Fest) so it’ll come around again soon enough!